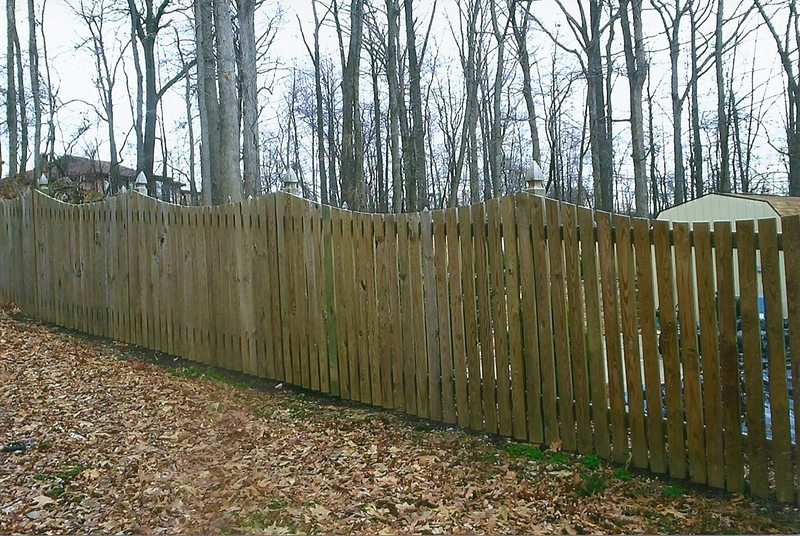 How Can I Clean My Wood Fence? The weather is warming up and Spring is right around the corner. You know what that means, right? Spring Cleaning! And where better to begin your Spring cleaning campaign than with your wood fence. Your fence is one of the first things people see when they look at your home. A dirty fence can give people the wrong first impression. And you only get once chance to make a FIRST impression. A clean fence, on the other hand, can add to your home’s curb appeal and property value. When using a pressure washer, make sure it is on a lighter setting. Wood should be washed with pressures between 500 and 800 PSI. Never use a hot-water pressure washer. Rinse off any cleaners, brighteners, or sealers within 15 minutes of application. Avoid letting these substances dry on the wood. This can leave residue and prevent proper adhesion or absorption of sealers. Bleach-based cleaners lighten the wood. Non-bleach based cleansers, gently remove the dirt and nail stains without any damage to the wood fibers or the wood’s natural color. Previously sealed fences usually need to be stripped before re-sealing. • Balances the pores of the wood so that the sealer bonds to each fiber. • Saves you money over the long run. Regular fence cleaning (and sealing) extends the life of your fence many times over! This entry was posted on Monday, January 6th, 2014	at 10:09 pm	. Both comments and pings are currently closed.